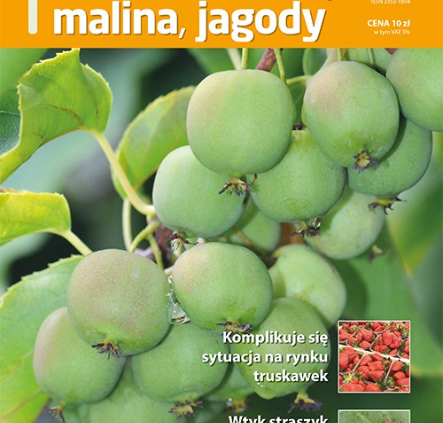 Meiosis would like to share translated extracts from two articles recently published in the Polish magazine ‘Truskawka, Malina, Jagody‘ 9/2018 pages 14-18, which shed light on Polish berry market in 2018. Overall the 2018 strawberry season in Poland can be considered successful. The main problem was the shortage of labour. Difficulties with employing seasonal workers meant that production of strawberries for processing was almost not cost-effective. The unusually hot weather also surprised many fruit growers. The past season proved that only production of the highest quality strawberries for the fresh market will be profitable in the future. 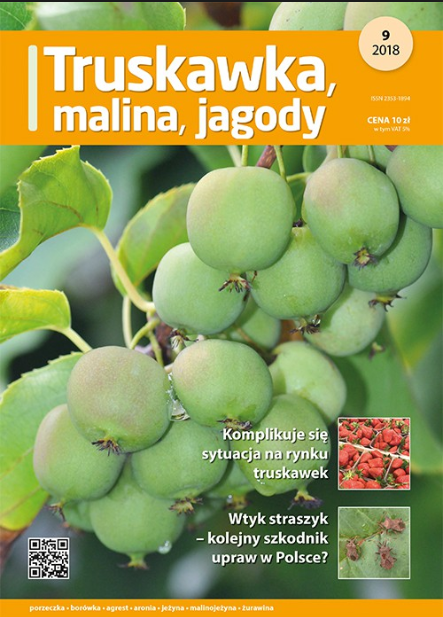 For most of the Polish berry fruit producers the past year was disastrous in economical terms. Even raspberries, which until now have been profitable, gave disappointing results. Low demand for raspberries for processing markets was the main problem, as well as the increase in supply of cheap fruit from Ukraine. After Spain, Poland is the biggest producer of strawberries in the EU. Although the crop area in Poland is almost seven times larger, the Spanish produce twice as much, around 400k tons of fruit every year. Poland specialises in strawberry production for processing – 70% of the overall crop. Because of the increasing problems with labour the large fruit growers have been forced to decrease their production areas. Export of Polish strawberries to Ukraine has fallen by 88% in the last six years and import of soft fruit has risen, despite even bigger problems with seasonal workers. Import of frozen strawberries between 2016 and 2018 has risen by 6.2k tons. Other imports came mainly from Germany, Egypt, China and Holland. At the same time exports of frozen strawberries has decreased from 54k tons in 2015 to about 36k tons in 2018. Imports of dessert/fresh strawberries occur mainly between March and May, when local Polish fruit is not yet available. Exports of Polish fresh strawberries are relatively small, the main recipients being Belarus and Germany.